Take care of your vehicle wrap! 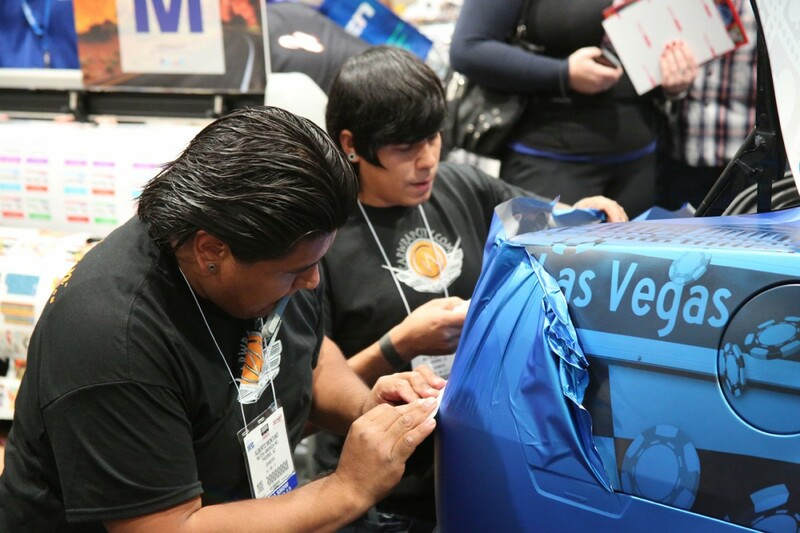 Proper care for your wrap is the best way to maintain any finish on your vehicle - whether paint or vinyl. Your wrap will stay fresh and long-lasting by use of high-quality products designed specifically for vinyl care. Like the rest of your vehicle, your wrap requires regular cleaning and maintenance. Washing your wrap regularly and keeping it away from potential pollutants will result in a longer-lasting, more vibrantly colorful wrap. Listed below are the best cleaning and maintenance procedures that will help keep your wrap looking its best and will allow you to get the full life out of your investment. After your wrap is installed, we will give you a Wrap Care Kit that includes care instructions, a microfiber cloth and a sample bottle of Aquanil wrap care product. Failure to properly maintain your wrap can void the warranty on your investment, so please make sure to heed our advice and read through the information we provide you. Want to read more about cleaning your wrap? Check out more tips and FAQ here: How to Care For and Clean Your Vehicle Wrap. In most cases, wrap removals are an easy procedure and will not damage vehicle paint if installed and removed properly. Factory-original paint works best with wraps as the quality of aftermarket paint and paint installation varies. We can take a look at your vehicle and the condition of your paint if you have questions about removing a future wrap. If you have a previously installed wrap that hasn't been cared for, we can help! Car Wrap City will remove your old wrap to the best of our ability. Pricing depends on size and condition of the wrap being removed. Factors vary from wrap to wrap, depending on how the wrap was originally installed. Some installers use a type of glue called primer to help keep the wrap from peeling. Peeling wraps are often due to cheap vinyl or other materials, or lack of knowledge and experience of the installers. Either way, we can remove it but assume no responsibility for the condition of the vehicle after removal, unless the wrap was installed by Car Wrap City originally. Read more about wrap removals and see photos of a removal here: What You Need to Know About Wrap Removals.